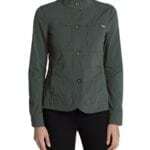 Fall is here and it’s time for a couple of seasonal pieces from Eddie Bauer. 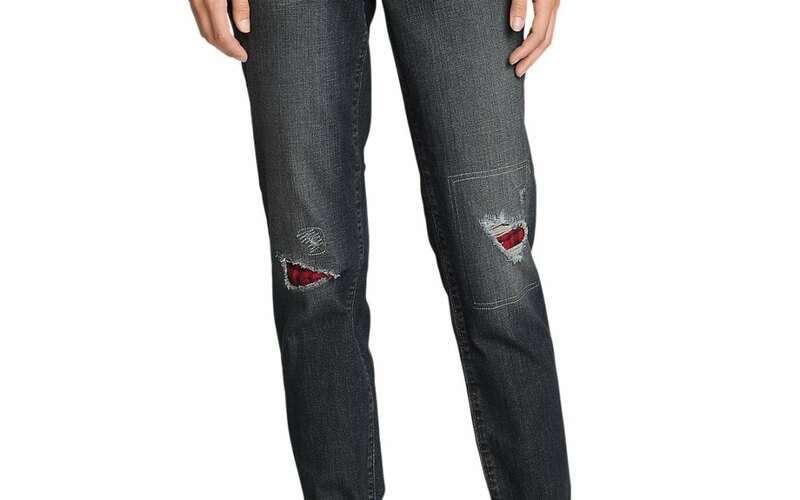 Look at these uber cute Boyfriend Patch Jeans. 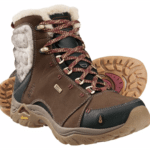 These are perfect for Autumn adventures. You can wear them casual or dress them up. I like mixing styles and these look fabulous with a black wool blazer and booties. The fit is true to size and not super loose for boyfriend jeans, so don’t size down to accommodate the style. They fit me exactly like the pictures, the waist is tight enough that it doesn’t fall down the way most of my boyfriend jeans do, and it’s loose throughout the legs and backside. They’re soft and comfortable too, in a dark Baltic Blue that matches everything. Great fall travel jeans, I love them and will be wearing them through the winter. 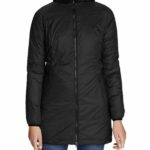 To keep you warm and dry and to wear with these jeans, the Eddie Bauer Rainfoil Fleece Lined Parka will keep you toasty while looking fashionable. It has a thick, cozy sherpa fleece lining. This jacket comes in three colors, of course I love the the black, but the Dark Plum is refreshing and a nice color for fall. An interior chest pocket holds your smaller stuff like credit cards and id, while two snap pockets on the front can hold larger items. Side pockets behind the snap pockets are for your hands. It’s insulated with Thermafill for extra warmth. The Rainfoil is nice for those windy, rainy fall days when it’s too cold for a shell, but too warm for a winter coat. The sleeves are tapered and come down over your hands a little bit for added warmth and rain protection. In the back, there is rushing from the drawstring which makes for flattering lines. Comparing the Rainfoil to my other Eddie Bauer jackets, I’d say it runs a tad snug. Probably not enough to size up though, unless you are planning to wear bulk. I’ve been sizing way up lately to accommodate layers. A couple of years ago I got into wearing down as an underlayer, so I allow plenty of room. This would not accommodate that, however with the fleece, I wouldn’t want to do that anyway. The sherpa fleece in the coat is thick and has a bit of bulk on its own. So I think it is great solo and would be awkward to layer. So it’s perfect to throw on over long and short sleeve tees, wool shirts, and thin sweaters. The Eddie Bauer Rainfoil Fleece Lined Parka is a perfect piece for fall travel and daily use. It hits that sweet spot of not being too hot or too thin. 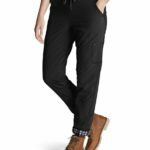 Eddie Bauer Polar Fleece Lined Pull On Pants Review: Best Winter Pants Ever!